Velipadinte pusthakam movie premier is the highlight of amrita tv christmas 2017 schedule. keralatv.in published that Amrita bagged the satellite rights of velipadinte pusthakam and they are bringing it for Xmas. 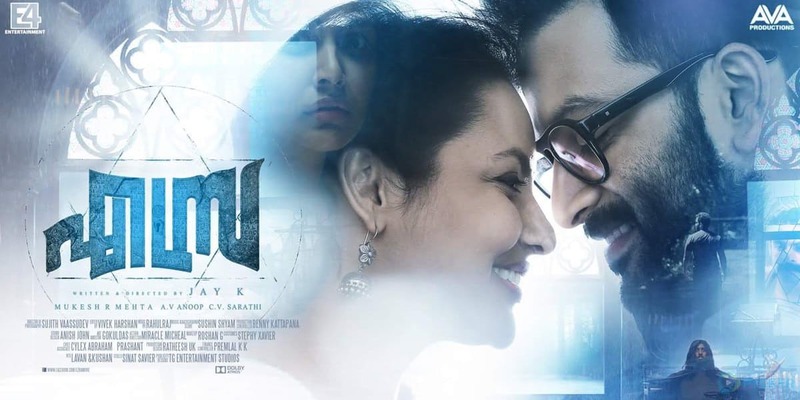 Prithviraj starring horror movie Ezra is another film in the list. we have updated about Xmas premiers of Asianet and Surya TV, soon publish other channels films for the season. Velipadinte Pusthakam released on 31 August 2017, during onam festival with mixed reviews. Jimikki kammal become popular, Shaan Rahman composed music for the same. Antony Perumbavoor under the banner Aashirvad Cinemas produced this film. Mohanlal and director lal jose joined very first time for this film, Benny P Nayarambalam wrote the script. Mohanlal as Professor Michael Idicula played the main character, Anoop Menon as Vishwanathan another important role in the movie. Anna Rajan, Arun Kurian, Appani Sarath, Priyanka Nair, Salim Kumar, Chemban Vinod Jose, Siddique etc in supporting star cast. Velipadinte pusthakam set in the backdrop of Phoenix Arts and Sciences College Aazhipoonthura, a coastal village. Vishnu Sharma handled the cinematography and Shaan Rahman composed music. Ezra movie already premiered on amrita during onam holidays, it’s repeat telecast will be on christmas day at 8.30 a.m. there will be special programs and chat shows on amrita tv , we will soon publish Christmas day schedule here. Stay tuned here for more updated about malayalam television channels. They have purchased another movie named Odiyan, which is the latest addition to channel library. agreement between channel and aashirwad films have a break, lusifer may sold to another channel.